A very special few days. 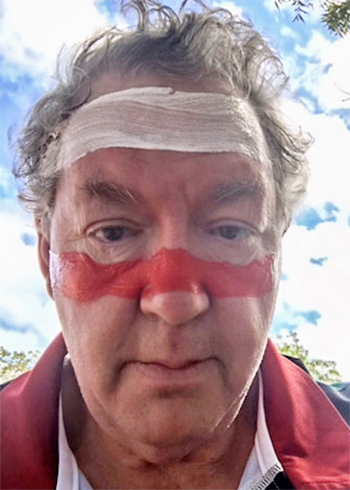 Australian Marist, Fr Pius Jones painted on the face as one of the Garrawurra clan. Australian Marist priest, Fr Pius Jones has been adopted by the Garrawurra people. “A very special few days” is how he describes his adoption and then attending the funeral of a Garrawurra elder. The funeral ceremony at Dhumbala, for his adoptive father, was something to behold, Pius Jones wrote to Australian Provincial, Fr Bob Barber SM. Pius Jones says it is amazing that all the people there can tell him how he is related to them. “The most touching part for me was when they called me over to paint me. “My clan is Garrawurra and they are equal holders of the law/lore of the Yolungu nations. So I was painted on the face as one of the Garrawurra family”, he wrote. New Zealand Marist priest Gerald Arbuckle, 30 August, was presented with the Maria Cunningham Lifetime Contribution Award in Sydney. 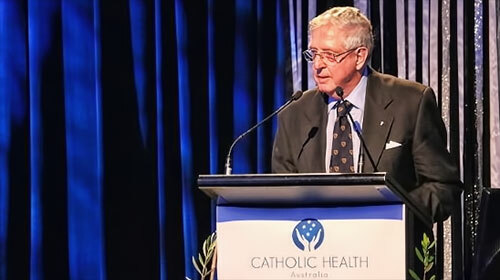 “I am personally thrilled by the award; Catholic health and aged care ministries are unique”, Fr Arbuckle said in a phone conversation. “The award acknowledges the emphasis that I and so many others have been giving to two fundamental issues, the values of Jesus Christ, the Good Samaritan, and the maintenance of these values through appropriate formation of staff”. 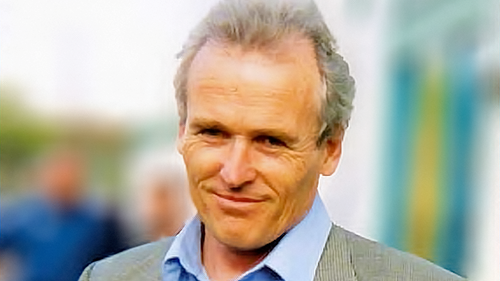 Gerry’s life-long commitment to learning, sterling research and belief in the power of Scripture to build up a people who best reflect God’s greatest dream is truly inspirational and a wonderful witness to the Marist Charism. Provincial of the Society of Mary New Zealand, Fr David Kennerley says the province shares Fr Arbuckle’s pleasure and the recognition of his professional achievements. “The award highlights Gerry’s ability to reads the signs of the times”, Fr Kennerley said in a statement. 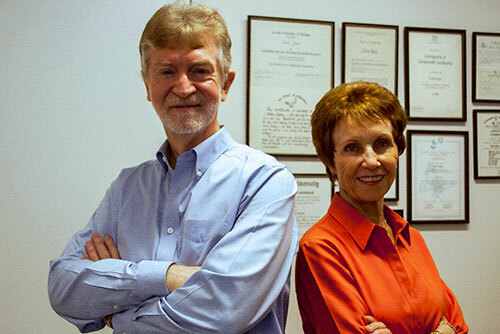 “Gerry’s life-long commitment to learning, sterling research and belief in the power of Scripture to build up a people who best reflect God’s greatest dream is truly inspirational and a wonderful witness to the Marist Charism”, he said. The Maria Cunningham Lifetime Contribution Award takes the name of Sr Maria Cunningham RSC OAM. For all her working life, Maria Cunningham worked as a nurse, a nurse educator and a leader of Catholic health care ministries, and by giving this award to Fr Arbuckle, Catholic Health Australia acknowledges Gerry’s lifetime dedication to Catholic health and aged care services in the United States, Canada and Australia. Catholic Health Australia co-ordinates the largest network of hospitals and aged care facilities in Australia. Fr Arbuckle began ministry in healthcare with his 1995 address, “Refounding the Mission and Values in Chaotic Times”. Delivered in the United States, the address became the catalyst for an increasing involvement in health ministry and the start of his various roles as a board director, consultant, researcher and author of health sector publications. In 2008 the Government of New South Wales appointed Fr Arbuckle to the Independent Panel overseeing the reform of the state’s public hospital system and three years later he delivered the Martin D’Arcy SJ, Memorial Lectures at Oxford University on the need to humanize national healthcare reforms. 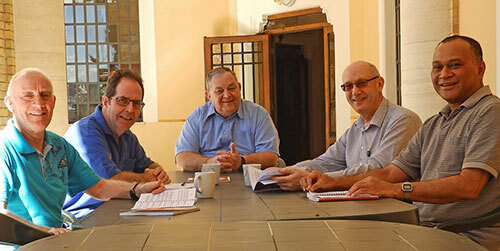 In 1990 Gerald Arbuckle was appointed as a member of the Refounding and Pastoral Development ministry based in Sydney. 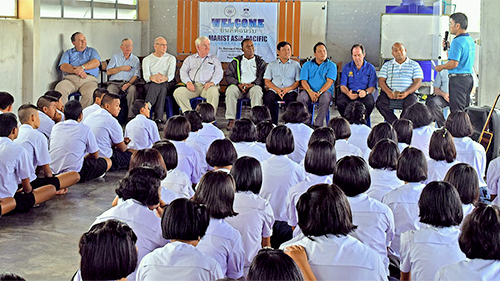 The ministry, established as a flexible, international research and consultancy unit is sponsored by the Marist provincials of New Zealand, Australia and Oceania.